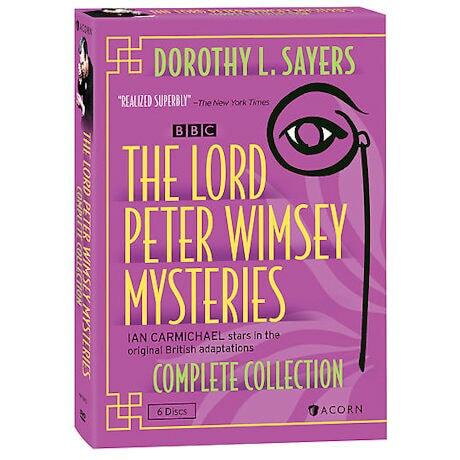 Ian Carmichael stars in the original BBC adaptations of the Dorothy L. Sayers crime thrillers. Hailed by critics as one of the finest mystery series ever filmed, its success on PBS's Masterpiece Theatre inspired the spin-off Mystery! Running at least three hours each, these dramas do full justice to Sayers's vivid characters, trenchant wit, and lavish 1920s settings. 5 mysteries on 6 DVDs, approx. 17 hours, SDH. Death hits close to home when Lord Peter's future brother-in-law is murdered. Two siblings die on the same day, leaving Wimsey to untangle who will inherit their fortune. Lord Peter goes undercover at Pym's Publicity to investigate the death of a copywriter. 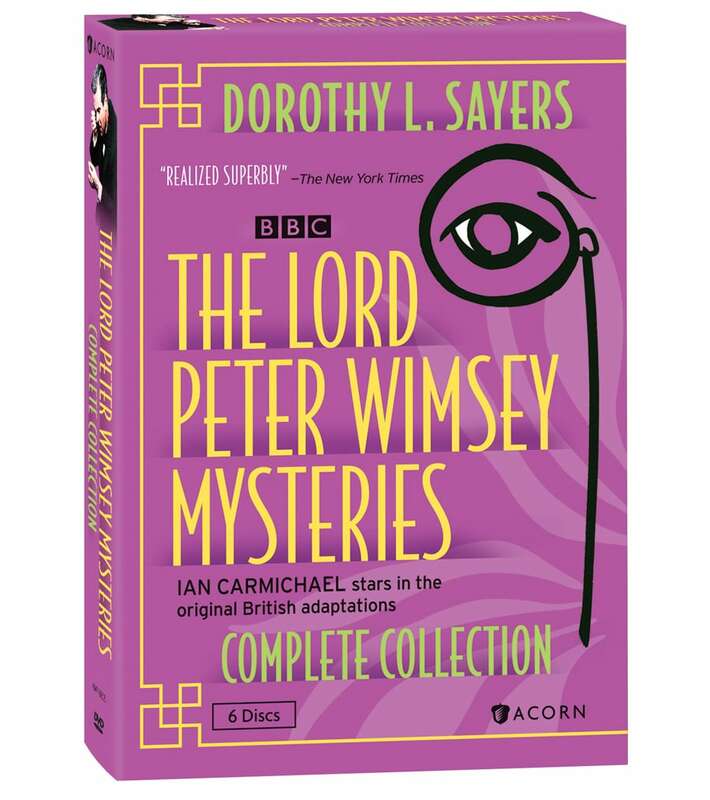 With six potential suspects, Wimsey must determine who murdered an unpopular artist. The detective stumbles upon a decades-old case involving stolen emeralds and unidentifiable corpses.